I love this beautiful vintage looking piece. So delicate and sweet! Thank you Jan! 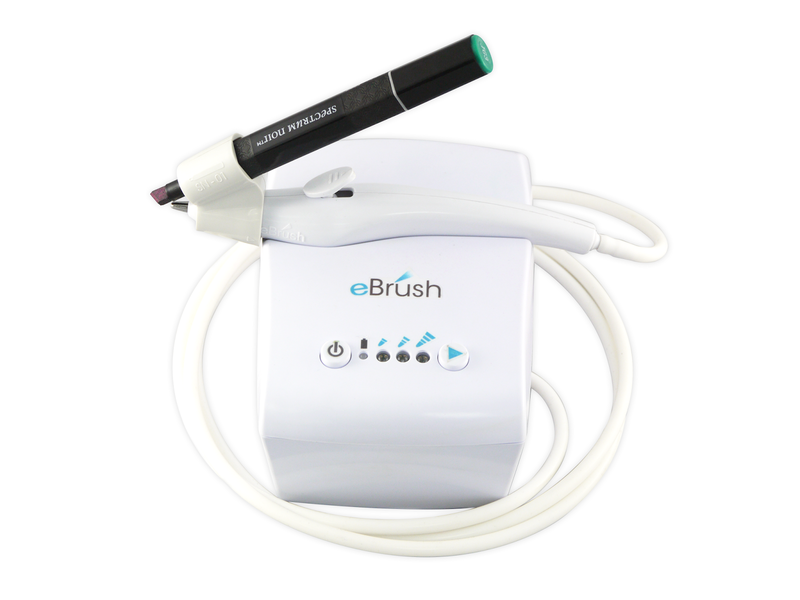 Hi, Jan here for a Wednesday project featuring the eBrush. There are times when I wish I had a pallet or two hanging around this place... however, in this case, some popsicle sticks will suffice. I used some painter's tape to line up the sticks. One they are secure, get your ebrush, markers and spray a little here and there to create a little color for your background. At this point, I created a mask for the focal image, the Robin; and using some repositionable glue on the back placed it on the mini pallet. I inked up a few stamps and began stamping a collage background. Once you've got your background stamped, remove the mask -- and save it for another project. Now, you can stencil the robin. 3 easy steps thanks to Judith's wonderful design. Then to soften the colors just a bit... I sanded the front of the "pallet." This is just a quick project and has lots of potential. Mini quotes, more stencils, card fronts, etc.... Tell me what you think. Thanks for stopping by! Enjoy your crafting time this week! 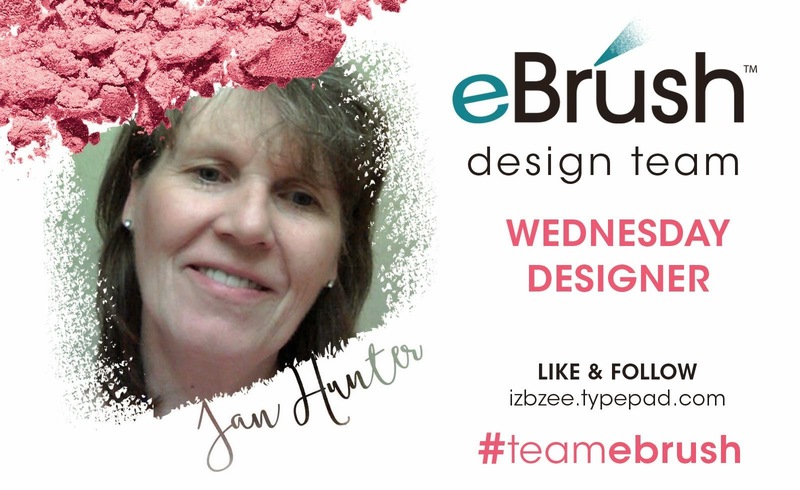 And don't forget to check back for the rest of the design team's fabulous projects this week; there's lots of ebrushing afoot!